What’s being done to make our towns and cities age-friendly? European Mobility Week takes place from 16-22 September and is themed around ‘Our streets, our choice’. But what is being done to make towns and city centres age-and-disability friendly? According to a recent DWP press release, high street income could be boosted by the £212 billion ‘purple pound’ if disabled people and their families could be attracted back to the high street. While the ‘purple pound’ refers to the spending potential of those with disabilities, the power of the ‘grey pound’ (the disposable income of older/elderly people) should also not be forgotten. 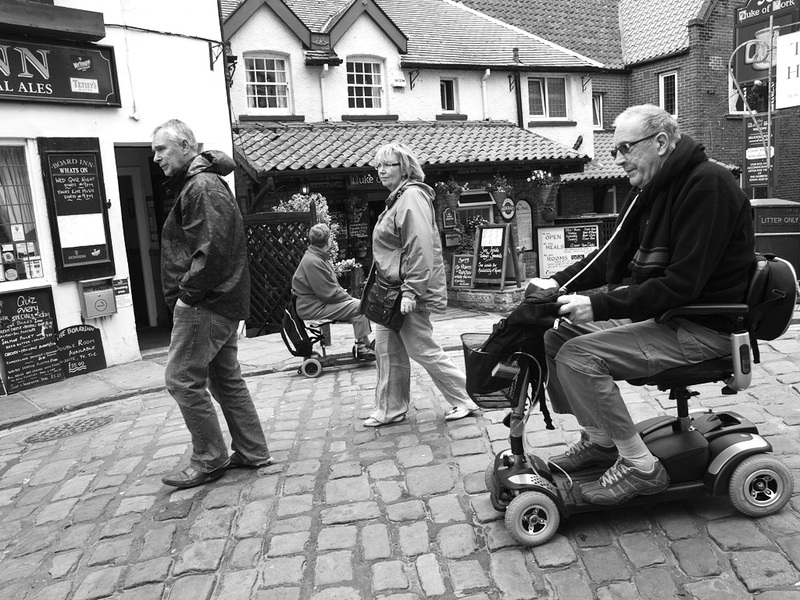 Taking these two groups together, many of the reasons that they don’t use town and city centres are the same – urban environments are often not disability or age-friendly. This also resonates with the ongoing debate about the viability of the high street articulated by Mary Portas and others regarding plans to help address the problem of economic decline on the high street and to help guide future change and development. But what’s not to like about the current urban environment on offer in the high street? A recent report from Housing LIN ‘A research and evaluation framework for age-friendly cities’ looked at each of the 7 World Health Organisation (WHO) age-friendly domains and offers advice on how to embed them into city strategies.